>January 2 was the coldest night for Tuesday Funk in quite awhile, but that didn't stop a full house from showing up for Chicago's favorite eclectic reading series. And they were rewarded with some fantastic live lit. Marcus Emanuel led off with a true story about what might have been a selkie. Next, Emma Terhaar read a short essay about making croissants and a couple of poems. Then Cameron McGill knocked us back with a set of spellbinding poetry, and we took a break to reflect and refill our drinks. When we returned, cohost Andrew Huff shared a couple of his trademark seasonal haiku, and then Emily Belden read an essay about reconsidering her policy on forgiveness. Lastly, Jac Jemc told a tale of a couple looking for new friends to double date with. Join us in the upstairs lounge at Hopleaf on Tuesday, February 6 when we'll feature readings by Molly Rafferty, Rachel Hinton, Molly Dumbleton, Lindsay Porter and Dave Reidy. Hope to see you there! Reminder: Tuesday Funk #112 is Tonight! It's the first of the year, which means it's time for Tuesday Funk! Fulfill your new year's resolution not to let winter beat you by joining us tonight. There will be good writing and good folks and enough booze to last through the end of the world. Cohost Eden Robins is out of town, so other-cohost Andrew Huff is on his own introducing this fantastic lineup: Cameron McGill, Emily Belden, Marcus Emanuel, Emma Terhaar and Jac Jemc! 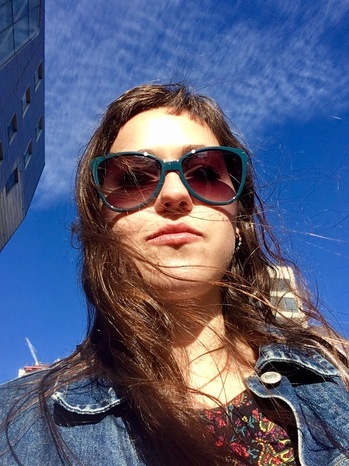 Emma Terhaar is a writer living in Chicago. 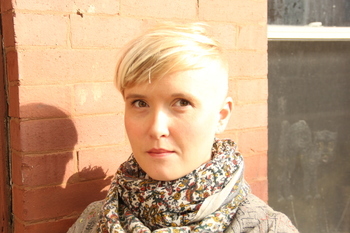 She edits and writes for Third Coast Review, the Chicago-centric arts and culture review site. Find more of Emma's writing on her blog EmmaFauxFemma.com. 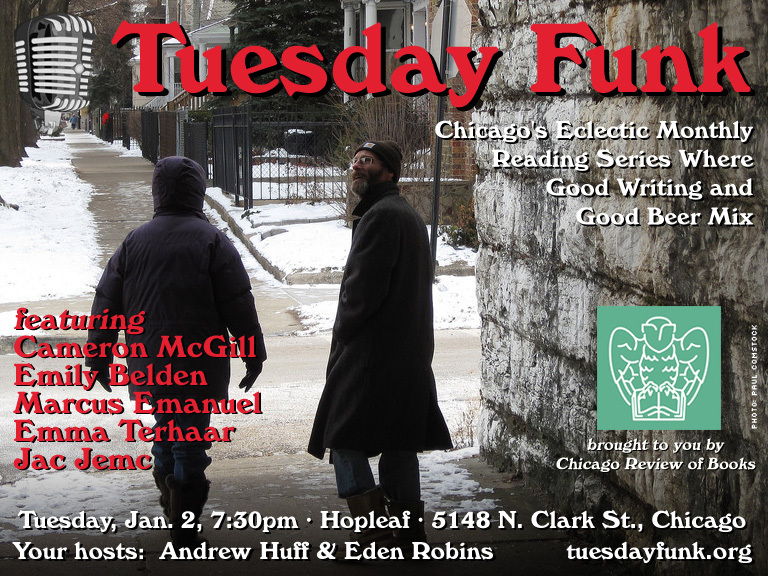 Please join Emma and our other amazing readers on Tuesday, January 2, 2018 in the upstairs bar at Hopleaf. Doors open at 7pm, and the show starts at 7:30. It's free, and 21-and-over. RSVP on Facebook. Marcus Emanuel received his bachelor's degree in Film Production at New York University and his master's in English from DePaul University. He has had short stories published in The Thoughtful Dog, Sick Lit Magazine, Chrome Baby, and others. He is currently finishing his first novel. Please join Marcus and our other amazing readers on Tuesday, January 2, 2018 in the upstairs bar at Hopleaf. Doors open at 7pm, and the show starts at 7:30. It's free, and 21-and-over. RSVP on Facebook. Jac Jemc is the author of The Grip of It (FSG Originals). Her first novel, My Only Wife (Dzanc Books) was a finalist for the 2013 PEN/Robert W. Bingham Prize for Debut Fiction and winner of the Paula Anderson Book Award, and her collection of stories, A Different Bed Every Time (Dzanc Books) was named one of Amazon's best story collections of 2014. She edits nonfiction for Hobart and teaches creative writing in Chicago. Please join Jac and our other amazing readers on Tuesday, January 2, 2018 in the upstairs bar at Hopleaf. Doors open at 7pm, and the show starts at 7:30. It's free, and 21-and-over. RSVP on Facebook. 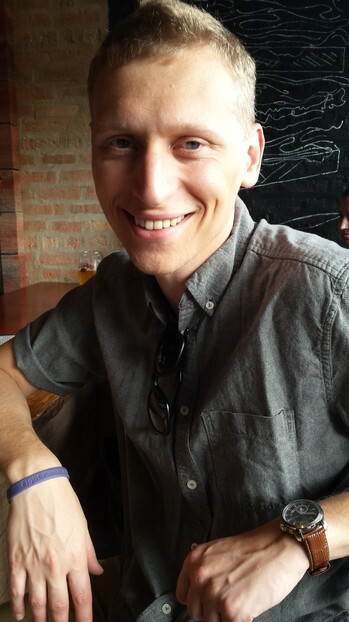 Cameron McGill is a third-year MFA candidate in poetry at the University of Idaho and the poetry editor of the journal Fugue. 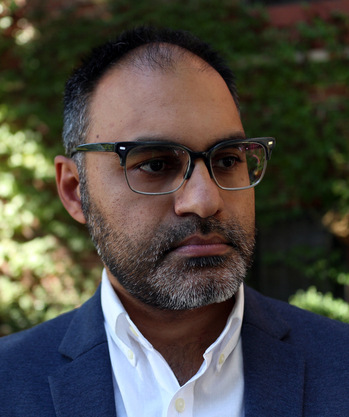 His poems have appeared or are forthcoming in The American Poetry Review, The Harvard Advocate, Queen Mob's Teahouse, Fogged Clarity, Poetry East, and Grist. 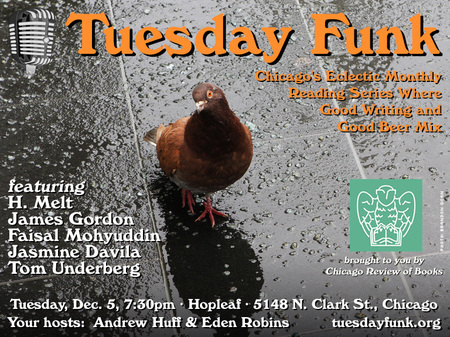 Please join Cameron and our other amazing readers on Tuesday, January 2, 2018 in the upstairs bar at Hopleaf. Doors open at 7pm, and the show starts at 7:30. It's free, and 21-and-over. RSVP on Facebook. Emily Belden is a best-selling author who has been chronicled by Michigan Avenue Magazine, The Chicago Sun Times, and many others. She is repped by Browne & Miller as well as 44 Blue Productions out of Burbank, California, who is adapting her Chicago-based memoir, Eightysixed, into a comedic series. She recently inked a two-book deal with HarperCollins/Harlequin and her debut novel, Hot Mess, about a girl who opens a restaurant in the West Loop, is due out March 20, 2018. Please join Emily and our other amazing readers on Tuesday, January 2, 2018 in the upstairs bar at Hopleaf. Doors open at 7pm, and the show starts at 7:30. It's free, and 21-and-over. RSVP on Facebook. It's hard to believe we're already looking down the barrel at a new year! What better way to commit to your resolution not to let winter keep you home than by heading to Tuesday Funk on the second of January! 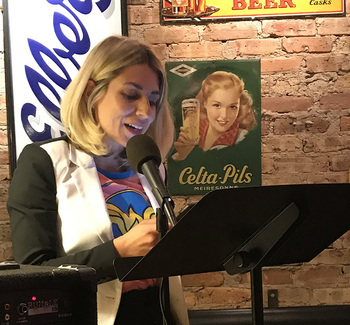 Join us in the upstairs lounge at Hopleaf for Chicago's favorite eclectic monthly reading series, where we'll feature Cameron McGill, Emily Belden, Marcus Emanuel, Emma Terhaar and Jac Jemc!